Ridgeback House is within a 60km radius of the some of the top tourist destinations of South Africa, including Cape Town, Table Mountain (the 7th wonder of the world), the V & A Waterfront, Paarl, Franschhoek, Wellington and Stellenbosch Wine Routes. 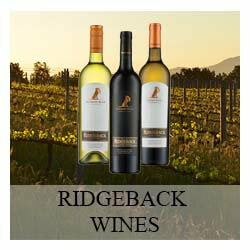 Ridgeback House is situated on the same farm where our wine tasting centre and restaurant are located. Our polite, professional and knowledgeable tasting room staff are committed to providing you with a fantastic wine tasting experience. Taste our fine, award-winning wines and tour our wine cellar. 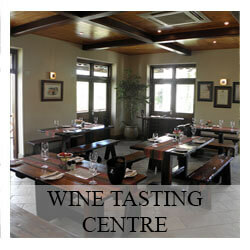 Enjoy your wine tasting in the air-conditioned comfort of our intimate tasting room. Alternatively, savour the experience out on the deck, overlooking a dam populated with a range of exotic waterfowl. 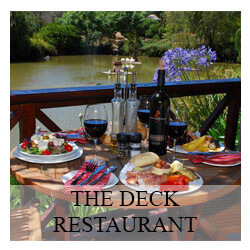 Enjoy a light lunch at The Deck Restaurant located at the tasting centre. Dishes include our popular cheese, Asian and snack platters, rump steaks served with mushroom sauce, and our salmon fish cakes served with salad. You can also book a picnic basket and relax in our beautiful gardens. After a long day of sightseeing, unwind with a bottle of wine and a selection of cheeses and pâté at our favourite picnic & sundowner spot – a large granite rock situated high on the farm amongst the olive trees, vineyards and natural “fynbos”. Spend an hour or two unwinding while soaking in one of Africa’s natural beauties – an African sunset. Enjoy a hike in the countryside along a designated trail (approximately two hours) in some of the most stunning areas of Paarl. 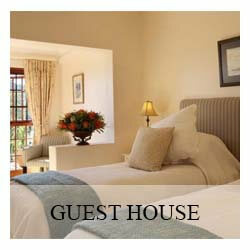 You also have the option of enjoying a horse ride or quad bike ride on a nearby farm. Experience the pretty landscape of fynbos vegetation, dominated by huge rounded granite rock formations that are located among wild olives, rock candlewoods and wagon trees. Enjoy an energetic walk or hike, or be a bit more adventurous and tackle Bretagne Rock. A novel way to take in the views of the Boland region is to visit the historic Taal Monument, situated on Paarl Mountain, accessible from the town of Paarl. The monument was designed by Jan van Wijk in a manner befitting recognition of the Afrikaans language origins. Afrikaans is one of the 11 official languages of our country. A novel way to explore the vineyards of Franschhoek. The Franschhoek Wine Tram hop-on hop-off tour represents a wonderful way to experience the true essence of the Franschhoek Valley – amazing vineyards, stunning scenery, great hospitality, first-class cuisine and world class wines.